Are Certain Prayers Just a Waste of Time? Tell me if this sounds familiar: You’re sitting in your car waiting for the police officer to come back with your license and registration. Whether or not he gives you a ticket is a toss-up. At the moment, based on the fact that he didn’t smile when you attempted a small joke, odds are you’re getting a ticket. You feel silly. Does God even care? Does God bail people out of speeding tickets? Do car insurance premiums fall under the “sovereignty” category? Add in the fact that maybe you were speeding, or are coming home from a place Jesus wouldn’t approve of, praying for a bailout feels like an insult to God. Maybe you’re a responsible driver and have never needed God to sway state troopers, but I’m willing to bet you’ve prayed about things that seemed insulting to the almighty. Sports outcomes, a potential date, hair loss or lost keys, all of us have prayed for things that feel out of place in the prayer queue next to a farmer’s prayer for rain or miraculous healing. Five years ago I stepped on a scale and weighed 215 pounds. For me, it was an alarm; I was headed toward 300 pounds before my 30th birthday, so I joined a gym and hired a trainer. I needed to lose 40 pounds. One day my trainer and I were talking, when I mentioned how hard it was for me to be a healthy eater, and his response caught me off guard. He asked, “Have you prayed about it?” No, I hadn’t prayed about it. Am I even allowed to pray about that? It had never crossed my mind to pray about my eating habits, but what Curtis said next has stuck with me to this day. He said, “If you care about it, and God cares about you, that means God cares about it.” I had never thought about it in that way, but it makes sense. Jesus didn’t want us to feel shame for prayers that felt less important. That’s why he told us in Matthew 21, “You can pray for anything.” Let that sink in for a second. Anything? 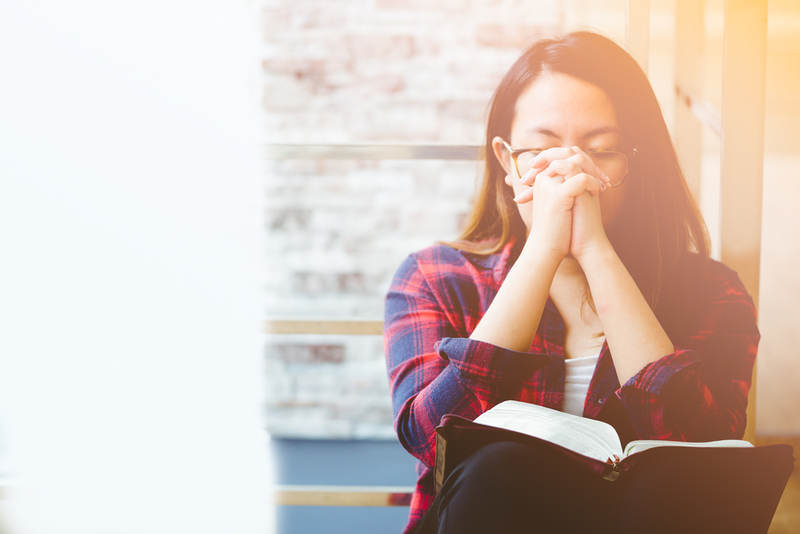 The Apostle Paul took it a step further in Philippians when he said, “Pray about everything.” For real? Everything? There’s a difference between anything and everything. I must admit, my wife can tell me anything, but I don’t want her to tell me everything. My kids are going through an inquisitive season; they can ask me anything, hopefully not everything, but that’s not how God feels. Growing up, my granddad helped teach me to play golf, and whenever we would go to the driving range before the round, if I were hitting the ball well he would say, “Don’t waste all your good shots on the range. Save some of those for the course.” It’s one of those “old man golfer” sayings. It’s a joke, kind of. The insinuation is you only have so many good swings so use them wisely. There are other reasons too, like insecurity or a wrong view of God, but when I believe prayer is solely about outcomes, I act superstitiously. I start out complimenting Him because my dad always told me people help people they like so it can’t hurt, right? Then I usually pray about someone else’s need, to prove to God and myself I’m not selfish, all the while wondering when it would be appropriate to transition to my request. At some point, I make the move and ask God for what I want. I make sure to include “Your will be done” in some form or another just to acknowledge I’m a team player, and then I wait. Like a high school senior standing by the mailbox for a college acceptance letter. How many others applied? Are my credentials good enough? What if I don’t get in? People often complain of “distractions” during prayer. Their mind goes wandering off on to other things. This is nearly always due to praying for something you do not really much want; you just think it would be proper and respectable and “religious” to want it. So you pray high-mindedly for big but distant things like peace on earth or you pray that your aunt will get better from the flu-when, in fact, you do not much care about these things; perhaps you ought to, but you don’t. And so your prayer is rapidly invaded by distractions arising from what you really do want-promotion at work, let us say. Distractions are nearly always your real wants breaking in on your prayer for edifying but bogus wants. If you are distracted, trace your distraction back to the real desires it comes from and pray about those. When you are praying for what you really want you will not be distracted. People on sinking ships do not complain of distractions during their prayer. It wasn’t until I started believing prayer is about wanting what God wants more than getting what I want, that I was able to pray for any extended period of time. I still don’t talk to God about everything, but we have started talking more about little things, sometimes silly things, mainly just because I want to talk to Him. I feel better when we’re done talking, not better about my odds, I actually don’t think much about the odds anymore. I feel better about myself. I feel better about the things that were stressing me out or making me feel afraid. If I care about the things the people I love care about, how much more does my heavenly Father? Praying about everything is not about getting everything I want, I think it’s more about bringing everything to Him. I’m not built to carry it all, but He is, and no thing is too small for Him.